Brackets & Results module added to website! 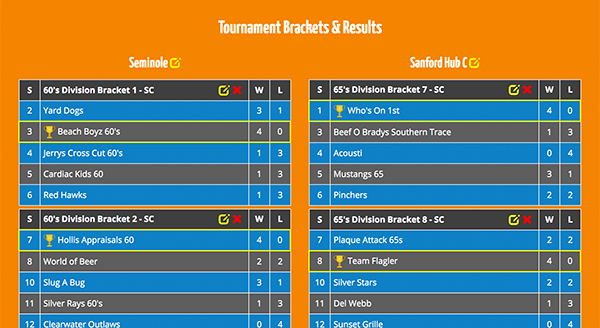 Florida Creative has added their new Brackets & Results module to the website, which will now allow players and coaches to quickly view their team's bracket opponents and the tournament results after the weekend of play. Just click on the 50's Division June 2017 tournaemnt or 60's Division July 2017 tournament to view this new feature.